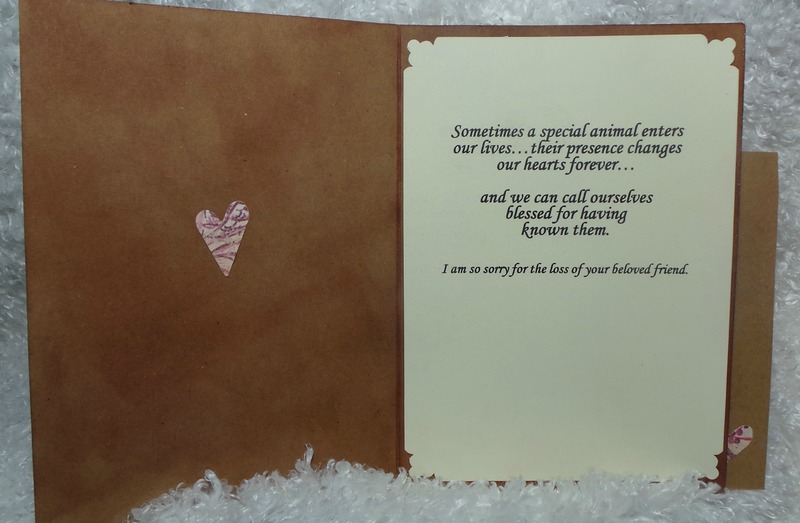 Cat Sympathy Card – new handmade design…what do you think? 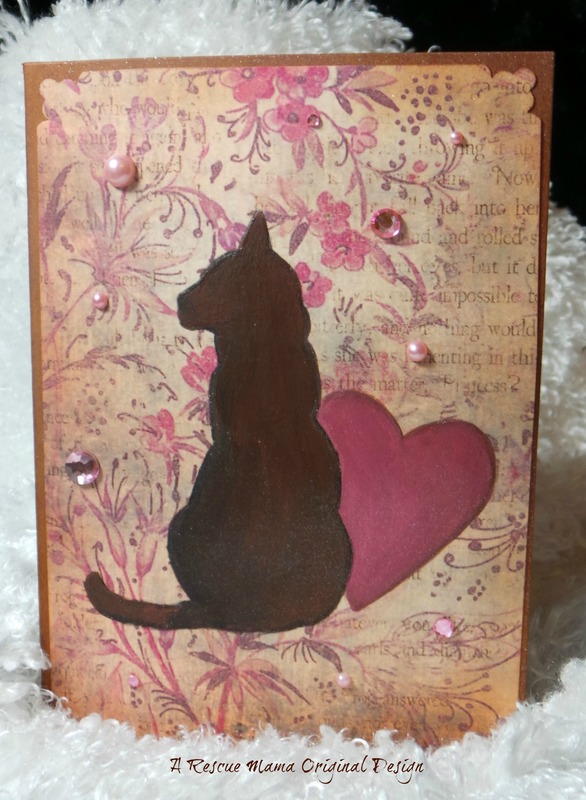 Cat Sympathy Card…new handmade design! It’s the first time I have used it in a card…what do you think? 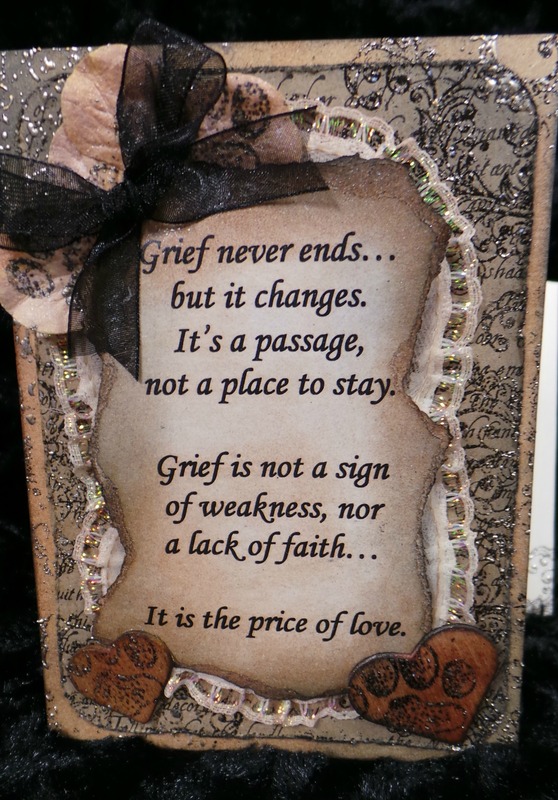 All of my sympathy cards are available at my ETSY shop and I do give discounts for pet professionals buying in quantity. Just finished these cards for Anima line of products…what do you think? I am always happy to answer questions on how I make my cards. 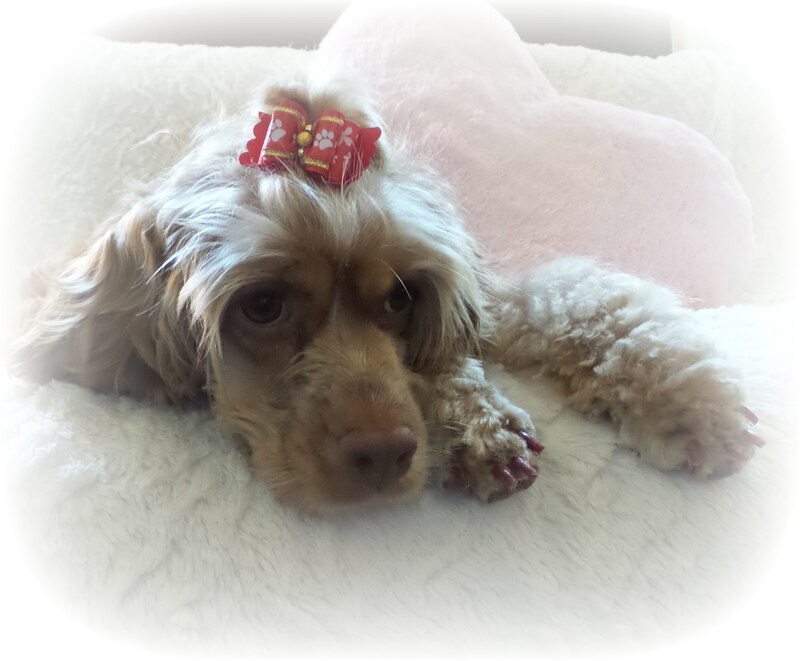 I sell them at my ETSY store and offer discounts for pet professionals who purchase multiple cards at a time. 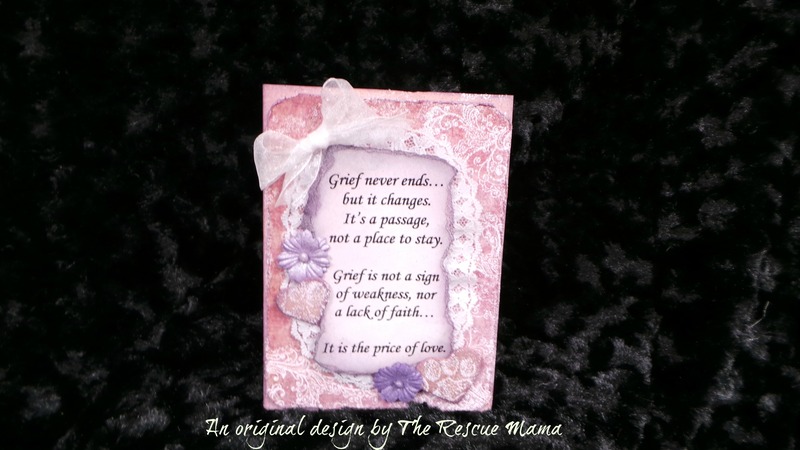 A new handmade sympathy card in my “Anima” line of products. 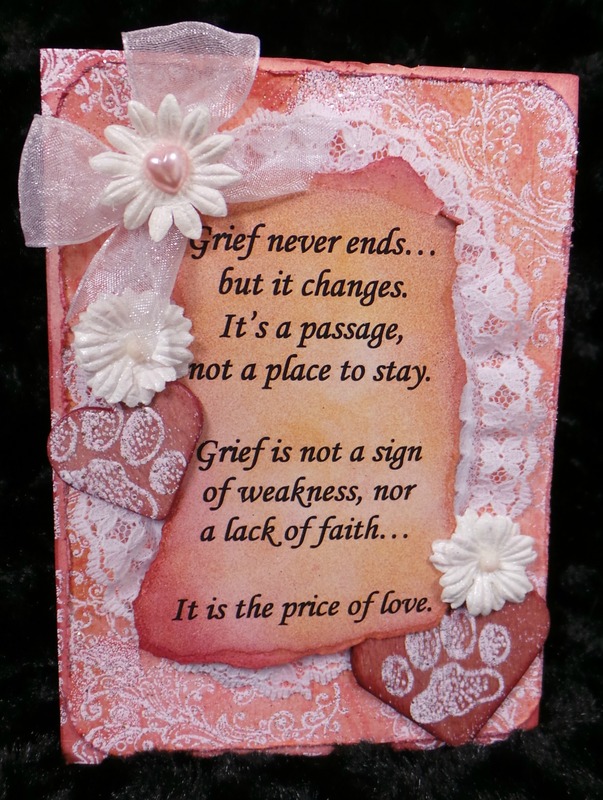 I finished this sympathy card last night. I spend quite a bit of my studio time on pet sympathy cards. I know all to well the grief experienced when a beloved pet dies and hope to provide sentiments that can bring comfort to others. 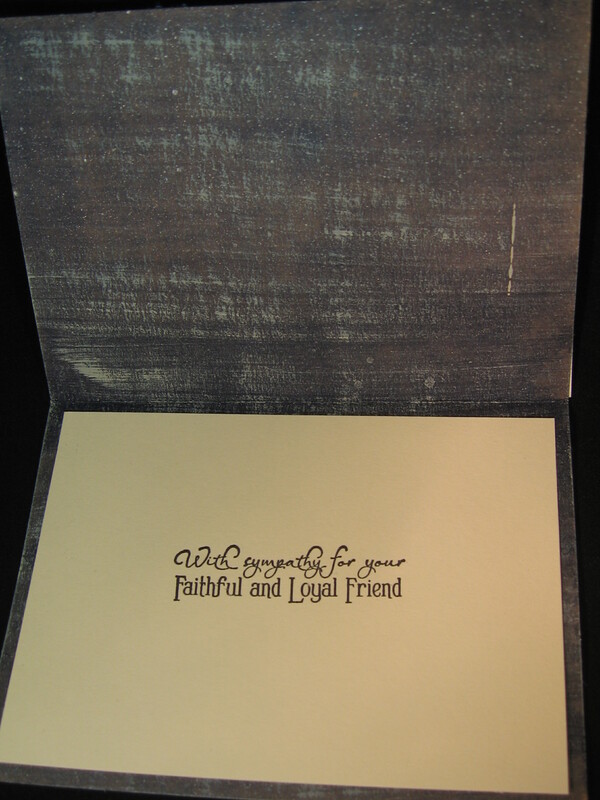 This card is made from a base recycled card stock. I stained it blue with Distress Stain and dry brushed it with cream acrylic paint (you can see the effect in the second picture). I hand painted a silhouette on the front of the card using a layer of heavy gesso first and then black acrylic paint. 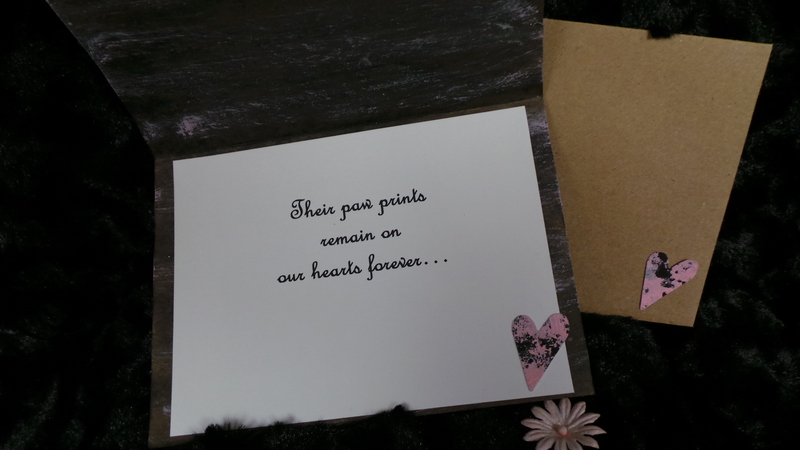 The heart, lace and flowers are all stained to match the rest of the card and finished off with perfect pearls. 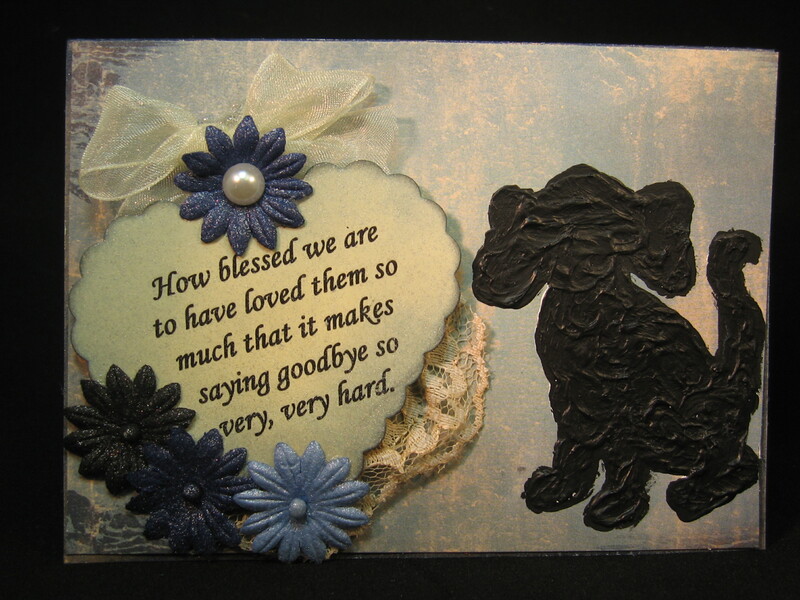 The front of the card reads; “How blessed we are to have loved them so much that it makes saying goodbye so very, very hard.” I print my greetings on to card stock with my laser printer and then spray the card stock with fixative so they won’t smudge. This is a far more cost effective method than buying stamps. 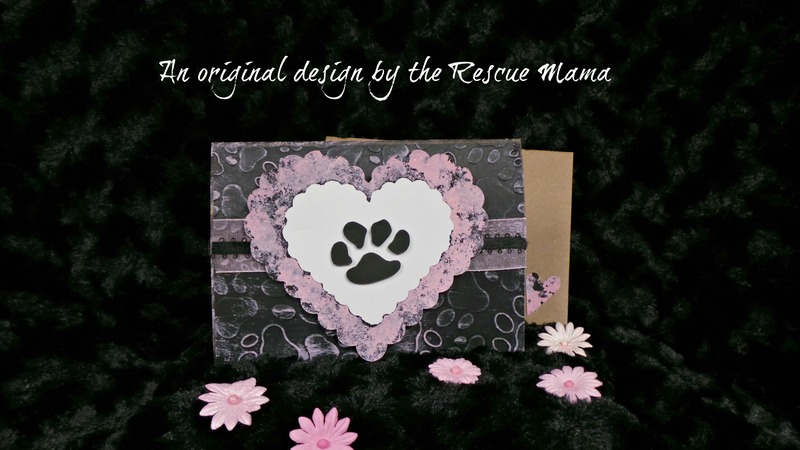 The inside of the card reads; “with sympathy for your faithful and loyal friend.” If you are ever in need of any cards or gifts for pet sympathy; I have a nice selection in my ETSY shop (www.etsy.com/shop/TheRescueMama). Use the coupon code “NEWCUSTOMER” for 10% off.